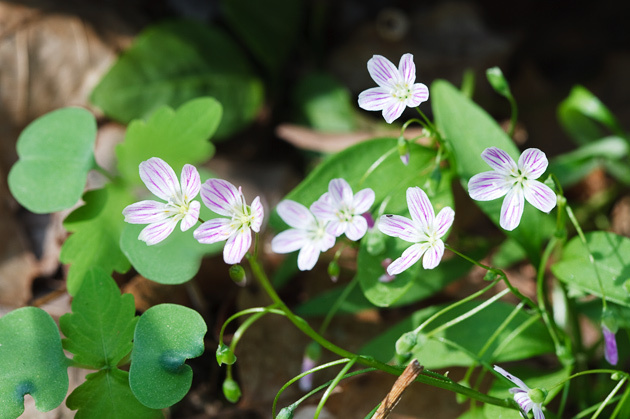 Spring Beauty (Claytonia caroliniana) is a quiet and reserved April wildflower of the Great Smoky Mountains National Park. Like so many of the early April bloomers, this one can be found along the Chestnut Top Trail. Look very low to the ground for this two-inch plant. 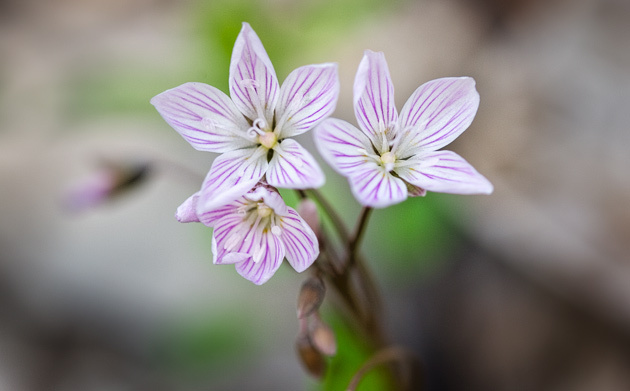 You may find it growing in large groups on the forest floor.